SLS Hotel, a Luxury Collection Hotel, Beverly Hills is celebrating its ten-year anniversary with a $10 luxury suite stay. 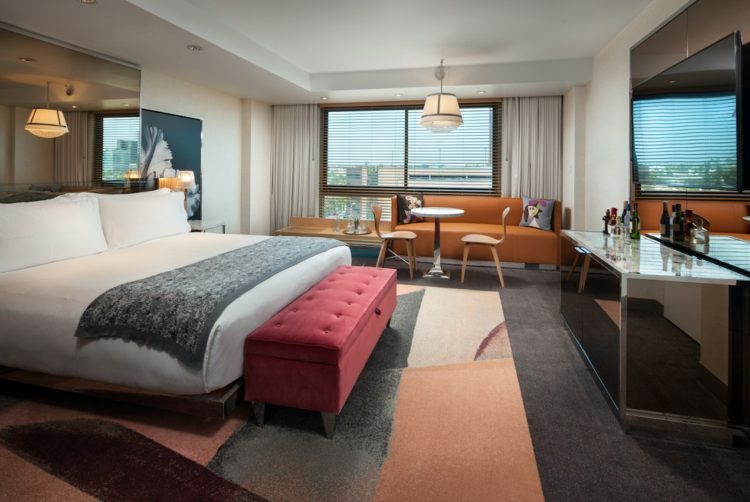 All guests must do is make a reservation for an SLS Suite between now and Nov. 10, for a stay between Dec. 1, 2018 and Dec. 30, 2019 and they’ll be entered to win a Suite Lucky Stay. The winner will be selected and notified on Monday, Nov. 12, 2018. In other celebratory news, the Beverly Hills hotel is also reveling in the recent completion of a $22 million dollar renovations. Some features include new programming like the Be Epicurean three-day immersion package which includes a foraging trip through Angeles National Park, dinner at Somni, cooking classes and more; and a new in-room experience with couture fragrance line Regime Des Fleurs is another.